Riga, the capital of Latvia was the second stop on our 3 week journey through the Baltic States. We travelled to Riga by bus from the capital of Estonia, Tallinn. We arrived at the bus depot in Tallinn with quite a bit of time to spare as we were unsure of how the system might work and we have learnt on our travels that it is better to be a little early and save being stressed about missing the bus. We had time to enjoy a leisurely, if somewhat unusual breakfast and a coffee before finding the bus bound for Riga. Those of you who have previously read our Travel Tales, will be familiar with how impressed these 2 little Aussies have been with the trains in Europe and in particular the Scandinavian countries. Well you can add being very impressed with the buses in the Baltic States too. The Ecolines bus, departed on time, the staff were super helpful and it had everything a middle aged traveller could need, including wifi, chargers for electric equipment, movies and coffee delivered to the comfort of our seats. Yes you read that right, coffee delivered to the seat! All this for €16; budget airlines and Australian transport companies, you have some catching up to do. 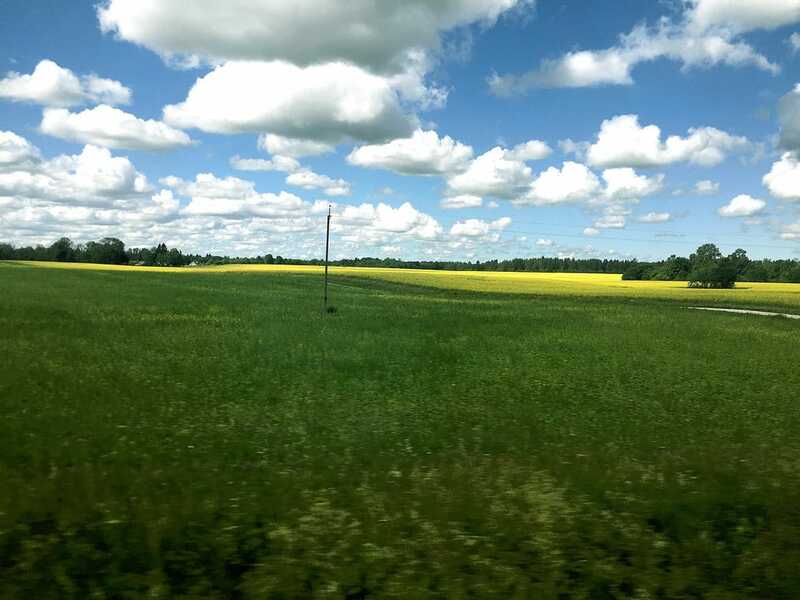 The trip from Tallinn to Riga, takes about 4 hours with a few stops along the way. The stops are mostly in pretty little towns which consist of mainly traditional style wooden buildings near small lakes or rivers. Evidence of the former Soviet occupations still remains, with concrete characterless apartment blocks lining the roads as we entered some of the larger towns along the route. The country side however was a delight of slighly undulating fields, crops almost ready for harvest and a riot of wild flowers along the road side interspersed with dark foreboding forests. Time seemed to slip by and before we knew it we had arrived in Riga. The bus stop in Riga was not the best of first impressions and thanks to Google Maps having a moment of idiocy, we walked about 3km further than we needed, along a dirt track before finding ourselves in the city and on our way to our new AirBnb apartment. We discovered a couple of days later that we could have crossed the river, walked through a shopping centre and pretty much arrived at the apartment. Oh well, at least we got to see some of the city and get our bearings, even if they were a little skewiff. There was some confusion when we arrived at our accommodation, as the address was unclear, numbers on the buildings in this part of the city seeming to be slightly arbitrary. A couple of phone calls later and we were climbing the 120 stairs to the apartment, that is right 6 floors, with suitcases. We were stuffed!! And reminded each other again, check the AirBnb listing for a lift. The apartment turned out to be a delightful hodge podge, with several large bookcases lining the walls, artifacts from around the world and stuff everywhere, it really felt like a home and at least one of us was in book heaven. It was the usual run around for food and drink supplies, but here, fortunately, they were all virtually next door. Well 6 storeys down and 6 storeys back up is next door right? We settled in for the evening on the balcony, overlooking the city and enjoyed a New Zealand Sauvignon Blanc whilst we watched the sun go down and discussed our plans for the next few days. 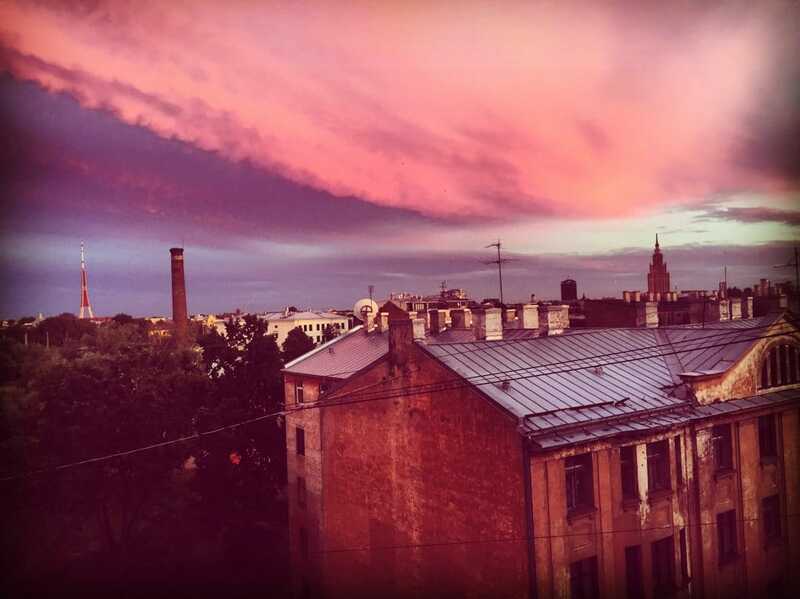 Our first full day in Riga, started a touch earlier than we had planned, due to a lack of curtains in the apartment. A recurring theme in the Baltic States for us. After grumbling and groaning our way through first and second breakfast, a number of cups of coffee and a good hot shower we were ready to discover Riga. 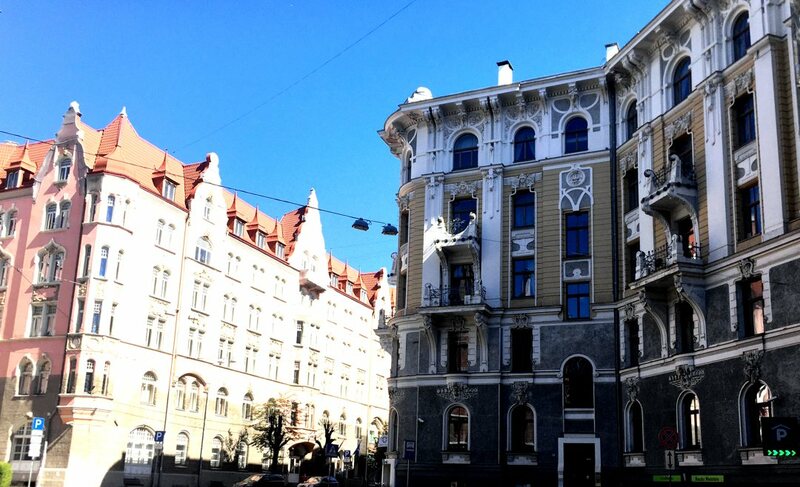 Riga lays claim to having the most and best preserved Art Nouveau buildings in the world and as lovers of the early 20th century period we were keen to find them. It was a gorgeous sunny morning and we saw no need to catch transport and headed off to walk towards the city centre. It must be said that not all of Riga is a gentrified version of the Art Nouveau period and in places the neglect of the Soviet period is evident. Many buildings appear to desperately need some love and there are traditional wooden buildings that are plainly beyond repair and yet they appear to house businesses and people. But when you do find the much loved, stylised buildings, wow, they are beautiful. 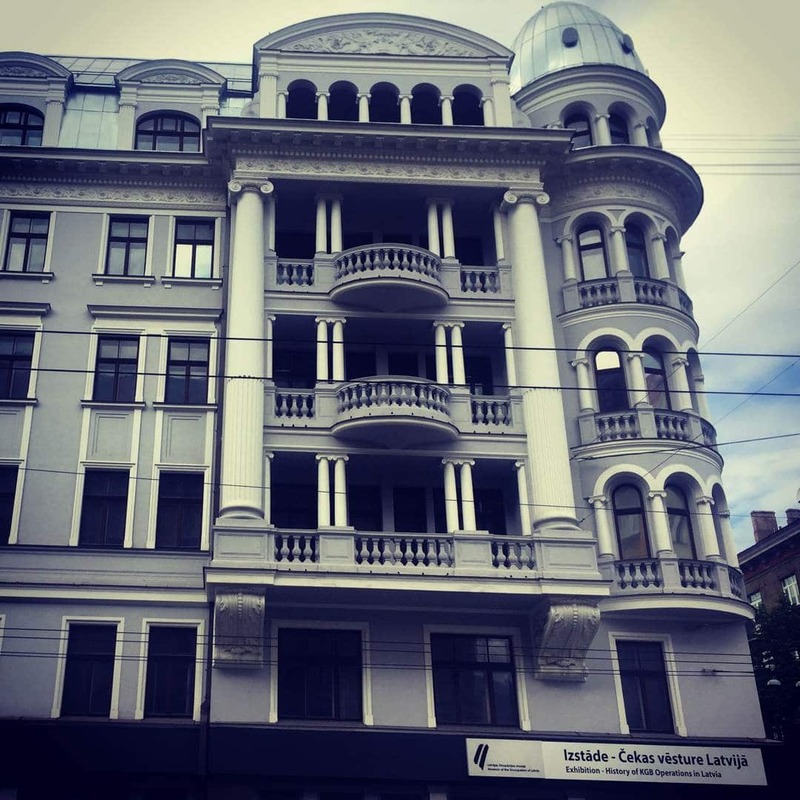 We were headed towards some of the finest examples of the period in the Quiet Centre, located on Elizabetes Iela but as is our want in truth we were meandering around appreciating the feeling of a new city and ending up wherever our feet took us. There is nothing quite like the sense of wonder when discovering a city for the first time. We found our way into Vērmanes dārzs, where a market and the European Choir Games were taking place. We were even lucky enough to have the opportunity to hear a choir of young girls singing an amusing folk song, complete with actions. It was quite well done! By now we had given up any hope of actually sticking to a plan, as we meandered from one architectural delight to another, down the impressive Brīvības Iela boulevard past the glittering golden domes of Nativity of Christ Cathedral to yet another stunning park. Bastejkalna parks are divided by the Pilsētas Kanāls which look for all the world like a pretty river flowing between steeply sloping banks. The parks were littered with happy families enjoying the sunshine, picnicking and relaxing on the lawns amidst the glorious flower gardens. We strolled through the photogenic parkland, over the canal and up Bastion Hill, from where one could get a great view of the Freedom Monument, which sits in the middle of Brīvības Iela and is patrolled by two Latvian soldiers who perform a slow goose step back and forth. It is quite elegant and almost resembles a formal dance. As we stood at the top of Bastion Hill our gaze turned 180 degrees and that is when we caught sight of the old town. 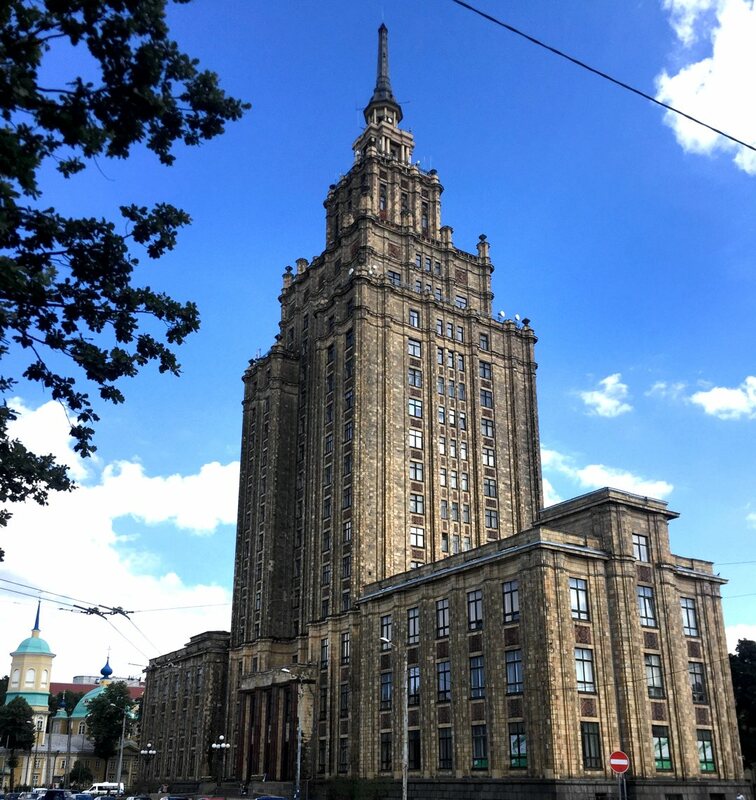 It is hard to believe, but until then, we were unaware of the treasure that awaited us, our focus had been solely on the Art Nouveau architecture and Soviet history. A quick warning, when crossing the road from the park to head into the old town be very careful of the sneaky trams; they seemed to sneak around the corner and almost be aiming to run us over! As we entered the cobbled laneways of the historic centre we were delighted to find a place with few tourists, a piano playing in one of the medieval laneways and much like Tallinn, pretty pastel coloured cottages. We read the history of Latvian wars and independence outside the Latvian War Museum before deciding it was all a bit depressing and wandered off to discover more of the old city. As you may have realised we do our best discovering when we have no plan and the historic centre of Riga was no exception. The small cobbled alleyways near the remnants of the ancient city walls gave way to broader streets, flanked by imposing and highly decorated 19th century buildings; eventually we found ourselves in the expanse of the Dome Square. The Dome Square holds a special place in the hearts of Latvians, as it was the scene of the Barricades during the revolution for independence during the 1990s. In summer when we were strolling through it was a scene of art installations, cafes, bars, restaurants and families enjoying the sun. 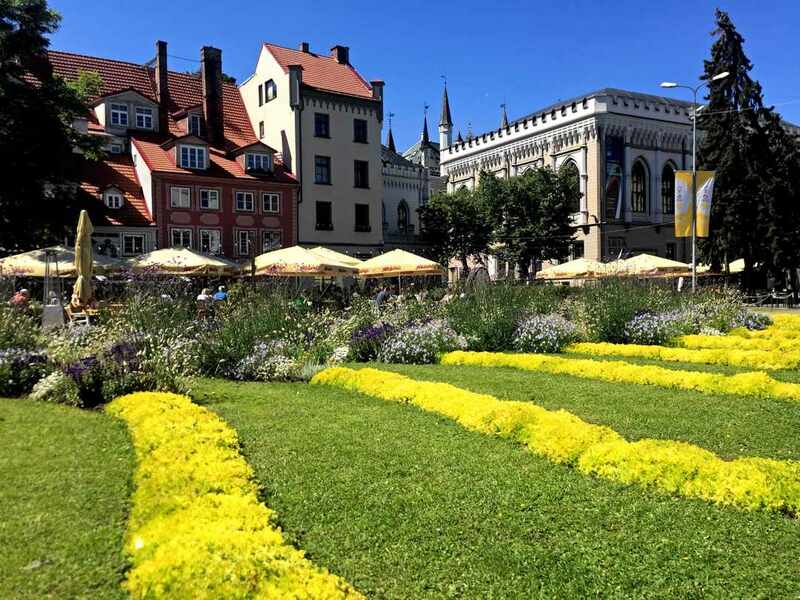 We decided that this square looked a bit like a tourist haven and we continued our ramble through the streets passing from laneway to laneway via many smaller squares, all with outdoor bars surrounded by masses of flowers before we were enchanted by Livu Square. Livu square is surrounded by galleries, theatres and the Latvian Philharmonic is housed here. It is said that this is the square that never sleeps, during summer it is filled with flower beds and outdoor restaurants, we settled in at the Sunshine Bar and Grill, for a beer and to enjoy the live music being provided by a busker near by. What a coincidence, an Aussie musician belting a few blues tunes in Riga! Having slaked our thirst and realising that we hadn’t really avoided an expensive tourist haunt but actually paid about twice what we should have for a beer in Riga, it was time to wander a bit further into the town. Our next port of call was the House of Blackheads, an unappetising name to be sure, but an amazing building, constructed of red and white bricks, highlighted with white statues, blue adornments and numerous gold icons, stars and fittings. The original building was constructed for the aforementioned group, who were a guild of unmarried German merchants, in the early 14th century. Sadly, it was bombed to a ruin by both the Germans and Russians during the second world war. 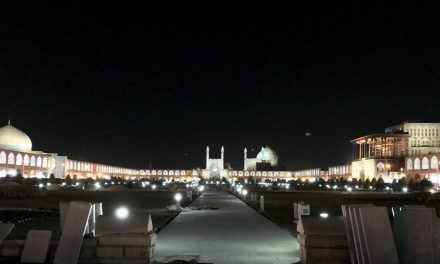 It was reconstructed in the late 1990’s and looks absolutely wonderful, a credit to the city. We popped out of the historic centre onto the Daugava River front, a very imposing waterway, before continuing up to Riga Castle, home of the president. The Presidential Castle is actually quite unimpressive probably due to the beauty that we had already feasted our eyes on getting to this point. As the afternoon sun was fading we decided to head for home, ummmm where was that again? There was nothing for it but to head back through the old city and retrace our steps, hopefully we would find a tram or bus that would take us at least in the direction of home. A quick check of the map revealed that it actually was not that far to walk, we had managed to walk 15km by meandering around rather than taking a direct route or having a plan. Feeling rather pleased with our efforts we set course for home, called into see the rather nice gentleman at the bottle shop in our building and mounted the stairs for the final foray to home. It was a couple of mind blown, tired little koala’s who enjoyed a wine on the balcony and a home cooked pasta before falling into bed, all too aware that the sun would be rising before we knew it. Sundays are, in our humble opinion best spent doing very little and after 15km walks on the previous day, there is even more reason to start out slowly. 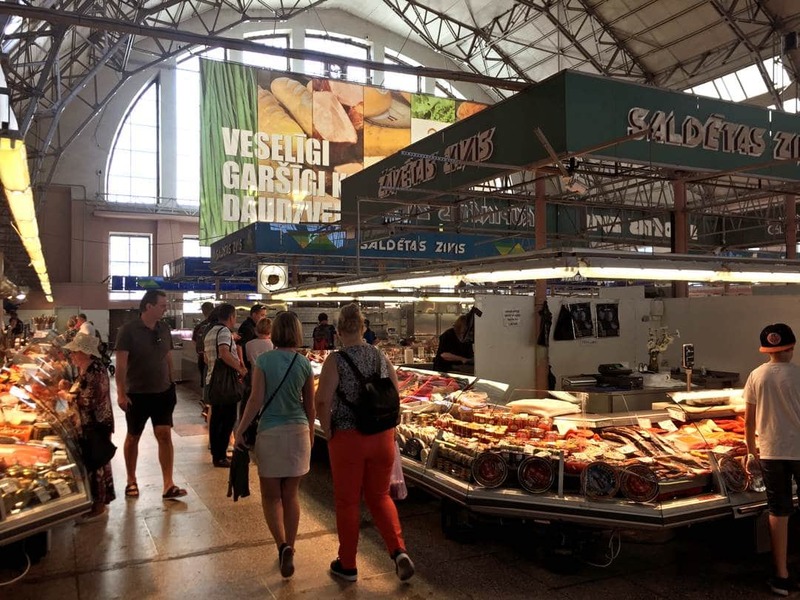 The Riga Central Markets, a UNESCO world heritage listed site, were located a short walk from our apartment and as markets are about the only shops Cath likes to visit (other than wine shops of course) it was deemed to be Market Day. There are five pavilions, which were formerly German World War 1 zeppelin hangars, making them an interesting architectural and photographic site apart from their contents. 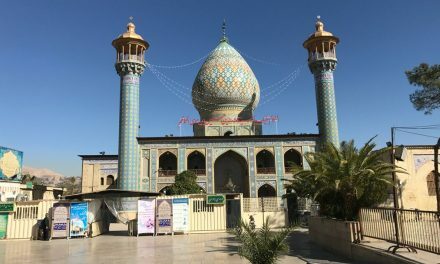 The whole complex, made up of 3000 trade stalls is apparently the largest market and bazaar in Europe. 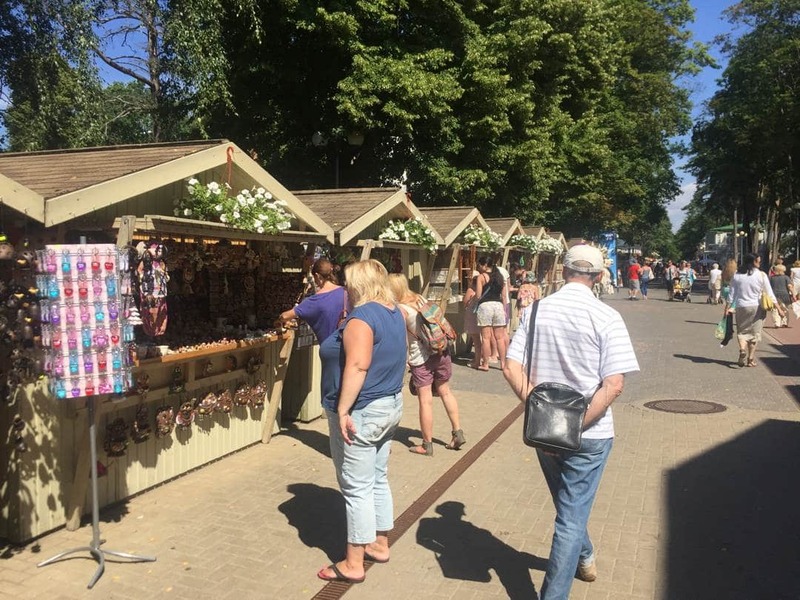 It is not only a market but a meeting place for the people of Riga with coffee and food stalls where breaks can be taken whilst you shop. Perfect! As it turned out, Sunday is a quiet day in the market with some of the stalls closed and people feeling able to wander around to get their weekly shopping. 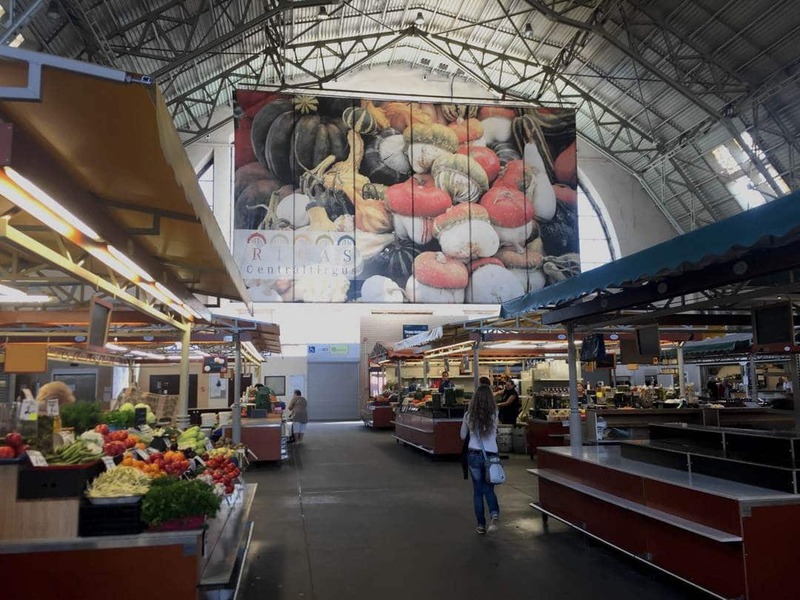 The indoor pavilions are a must do for food lovers with fish, poultry, meat, vegetables, cured goods and locally prepared delicacies all available. 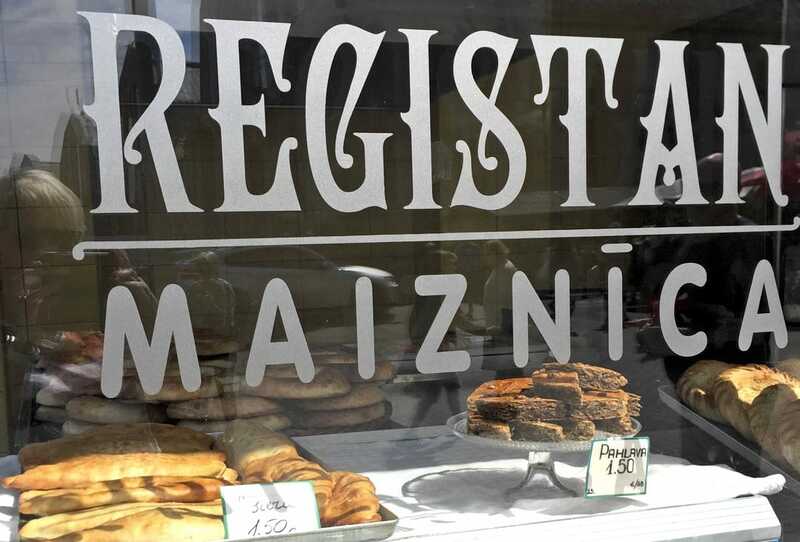 I, Cath, profess not to have a sweet tooth but anything that even closely resembles the Turkish Baklava is a must taste item for me and I spied one in the coffee shop as we were purchasing a pastie like treat for lunch as we continued on our Riga walking tour. Now the pastie was good, with vegetables and meat of an unknown origin inside a light flaky pastry but the Latvian Pahlava, a layered pastry with almonds and honey, mwwwaw! We had been admiring a building on the skyline from our balcony since the start of our travels in Riga, as there are very few high rise buildings in the city. Finally, after much research, we found out that it was the Latvian Academy of Sciences building, also known as Stallin’s Birthday Cake. And whilst we were impressed by it’s dominance of the skyline it appears that it is not so popular with those who live in the city, as it is seen as an ongoing symbol of the oppression of the Stallinist era. To be fair up close it really is not a very attractive building, it is decorated with the hammer and sickle motifs and quite brutal in it’s construction and dominance over the traditional wooden houses, most in a state of disrepair around it. There is apparently a 360 degree view of the city from the top but it was not open on the Sunday we were there and given it’s unpopularity with local’s we didn’t feel too bad about not paying to head up for the view. The Like a Local Guide had reliably informed us that the view from the Riga Gallery Terrace was equally as good and we set off to walk off a bit more pahlava and find a rooftop view of the city. Well, it just wasn’t that great, the shopping centre was interesting and if we had wanted big name department stores, this was the place to find them but we didn’t and the view from the 8th floor terrace was impeded by very expensive restaurant tents. So after admiring some of the art nouveau detailing on the buildings we could see and taking a few snaps for the album, we meandered our way back to the apartment to enjoy the last of the afternoon sun on the balcony and rest our weary legs. Off we went then in search of Chomsky, made a little more tricky by not actually putting the name of the place on or anywhere near it, good old Google maps to the rescue and we were sitting in what appeared to be someone’s front yard, enjoying a pint or two of the local beer but not really being welcomed by local people, in fact they appeared to be a bit grumpy that we had found their hidden gem. Not to mind, we chatted to a young American couple for a while before deciding it was dinner time and taking the American’s tip we headed off to find a nearby restaurant which promised to be open late. Our new American friends had recommended the Galerija Istaba restaurant as an inexpensive place with quality, traditional food and assuming that a couple of students travelling in Europe would know about an inexpensive restaurant, we found ourselves seated above an art gallery in a small restaurant. Galerija Istaba appeared similar to the RuinPubs in Budapest, decorated in an eclectic manner; apparently this is to make you feel at home. We ordered a traditional meal, as was suggested by our waitress and wow did we eat, dish after dish arrived, 5 courses in all. We had no way of finding out what most of them were called, as the staff spoke very minimal English and there are no written menus, how very trendy! It really didn’t matter, as it was a delicious meal. A carafe of reasonable, we think Latvian wine appeared and we stayed and stayed and stayed! And then came the shock, our inexpensive meal was €80 and cash only. So a quick dash to the ATM was required. 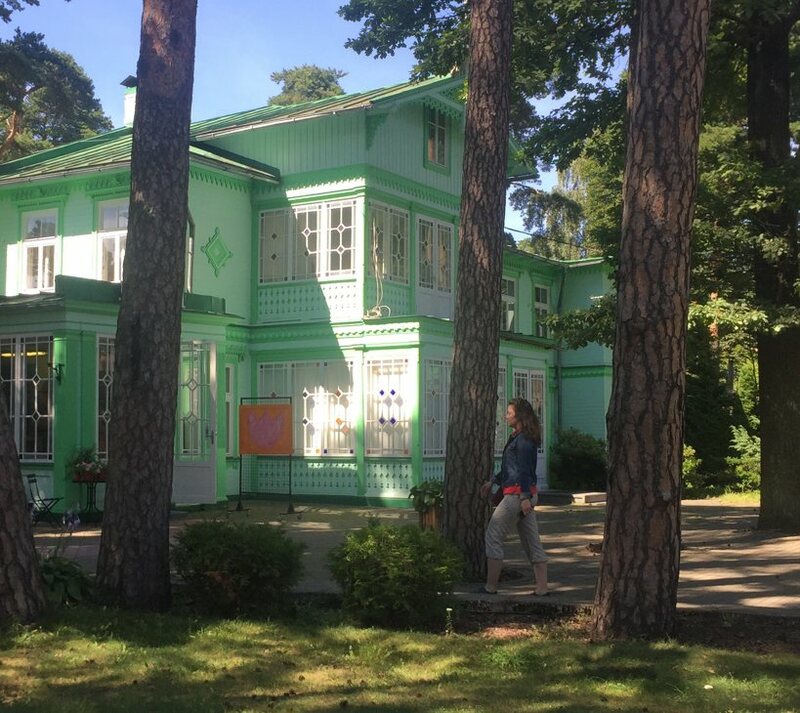 Jūrmala, is a beach side resort town about 25Km outside Riga, perfect for a day trip and an escape from the city on a warm day. The train runs directly from Riga Central Station and after about 10 minutes of trying to decipher the signs in Latvian, we found the ticket office and purchased return tickets, €5:50 for both of us. Bargain! The train arrived on time and was a reminder of the history of Riga, appearing to be straight out of a movie set in a 1970’s Soviet State. Jūrmala is obviously a popular day trip for the people of Riga, the carriages were quickly filling and we were lucky to get a seat and also a bit surprised to find that young Latvian’s were happy to watch older people stand or sit on the floor of the carriage. The forecast high for the day was 26° and it was a pretty sweaty trip, packed in like sardines and sans air conditioning. The Jūrmala train station is wedged between a large river and a park and it is very pretty as you alight from the train and wander down the street toward the beach. It is a pleasant stroll along Jomas iela, the wide pedestrian boulevard that runs from the station to the beach. The street is lined with small cabin like stalls selling tourist knick knacks, ice creams and of course waffles which we managed to avoid purchasing. There are also an enormous range of restaurants and cafes, covering every cultural group you can think of, from Uzbek to Japanese. We strolled along with the crowd with no real intent to do anything but enjoy the sun. As we neared the beach the on shore breeze turned up the chill factor so that Ian felt cold in a T shirt, but clearly the locals felt no such thing. The beach was packed as far as the eye could see and apart from people playing games or sun baking, there were plenty in the water. It is a lovely sandy beach with fine golden sand, art installations and of course a bar. We decided not to venture in for a swim but to escape the chilly wind and found our way back into town for a drink at one of the many cafes, some people watching and a bit of a wander around the town. The town is known not only for it’s beach but for it’s eclectic architecture, everything from pretty, ornate wooden buildings to concrete Soviet brutalist blocks are visible amongst the pine trees that line the streets. It is the perfect town for meandering around, enjoying the sun and soaking up the beachside culture. We had somehow managed to avoid visiting a museum related to the Soviet occupation of the Baltic States during our travels in both Estonia and Latvia so far but as history and politics nuts we had spent plenty of time googling, discussing and let’s be honest arguing over the history and it’s relevance to the current climate we were experiencing. 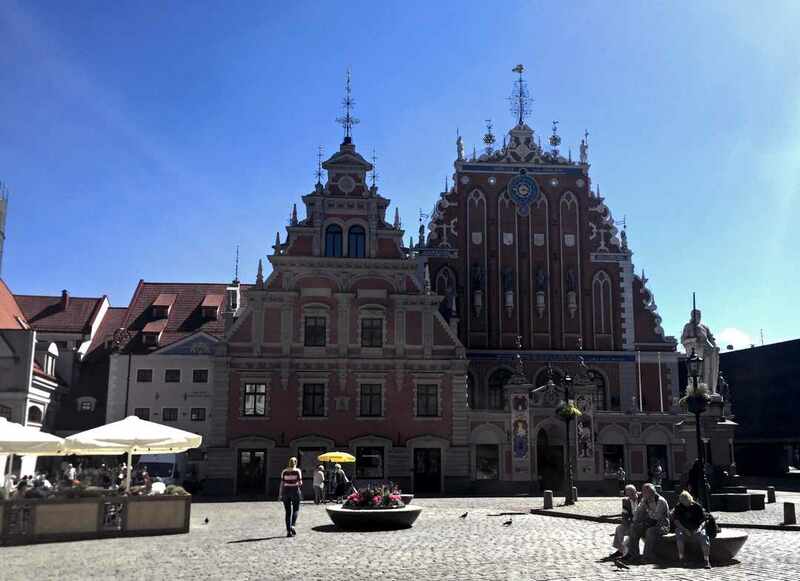 It remains a fascinating part of modern European history and as we would later find out there is still very much a large Russian population in Latvia and much of the tourism to Riga is from Russia. Apparently this is why there is a casino on nearly every corner. So we found ourselves en route to the KGB “Corner House”, a walk that must have struck fear into many a heart during the occupation years. There was something quite surreal about admiring beautiful Art Nouveau architecture on the way to a brutal historical site. The “Corner House” is actually The Museum of the Occupation of Latvia which from the outside appears to be just another prettily decorated building on the corner of a major intersection close to the city centre. But upon entering the building we were transported back in time, it has largely been left as it was during the time the KGB operated from here. An air of oppression and fear seemed to seep from the drab walls and the reminders of what went on here were everywhere, even down to the postbox in the foyer where informers would post the nasty little letters informing on friends, family and others in order to keep the oppression going. We were fortunate or unfortunate depending on your point of view to be unable to visit the basement prison cells, as the tour groups were filled for the day. But we were able to tour the upper floors, the permanent exhibition and the History of KGB operations in Latvia exhibition. Both of which describe the horror of the lives of Latvian people during the occupation years. We both commented on leaving the building that we were pleased not to have toured the basement, after reading accounts of prisoners who had been kept there, it would simply have been too sad and confronting to have stood in their shoes. After leaving the museum, there was nothing to do but walk and talk about our experience and hope that the unsettling feeling would be walked off, aided of course by a beer and a plate of Latvian Tapas. What is Latvian tapas I hear you ask? Well it is a plate of cured meats, cheese, pickles and calamari rings. Who knew? That title doesn’t really sound like your average Wednesday night in Riga, Latvia does it? Well apparently it is, or it was for us. We couldn’t possible arrive home in Australia and tell people that there was an Aussie pub in Riga if we hadn’t been and sampled the beer, so it was that we found ourselves doing that. It should perhaps have been a sign of things to come when we arrived to find out that Wednesday is Ladies Night, meaning 2 for 1 cocktails for the ladies. Cath of course put her best lady like voice on and hopped straight into the Long Island Ice teas, as you do. It appears that it is a pretty popular venue and before long it was quite busy and we decided we might move on to find out what else was happening in town. 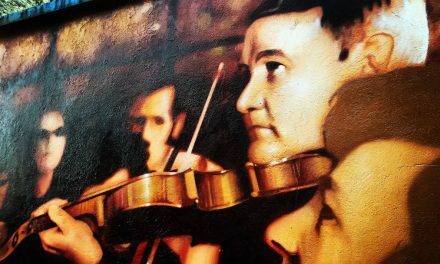 We found ourselves in the Old Town, listening to reggae music in the street before Paddy Whelan’s beer garden popped up and called us in for a wee pint or two. Well it turned into quite a few more pints than that when we were joined by two Swedish couples who were also on holiday in Riga. We chatted away for what seemed like a short time but must have been quite a bit longer because the bar staff were ready to go home and calling last drinks. Oops, we had managed to have a bit of a party again. After exchanging contact details, making promises to visit Sweden again soon we bid our new found best friends farewell and wobbled off to find our way home. We were overjoyed to find that the kebab shop we had passed on the way to the pub was still open and without further ado, we were in and ordering a “spicy box”. Cath, ever the nosey parker, had to know how 3 Pakistani guys came to be serving kebabs in Riga of all places and one thing led to another and we were talking cricket. Yes cricket in Riga, where it is possible no one has ever heard of the game. It may have been the blood alcohol content or maybe it was just a very tasty meal but we are adding this kebab box to the best of kebabs series which includes illustrious places like Istanbul, Isfahan and Oslo. A rest day was required after our adventures of the night before and we spent a lazy day reading and packing up for the next leg of our travels. We did manage to carry our somewhat hungover and weary bodies down the stairs for a pizza, which was, shall we say not quite up to the standard of the previous night’s take away. We had had a surprising amount of fun in Riga and were now ready for the final leg of our Baltic travels, Vilnius. 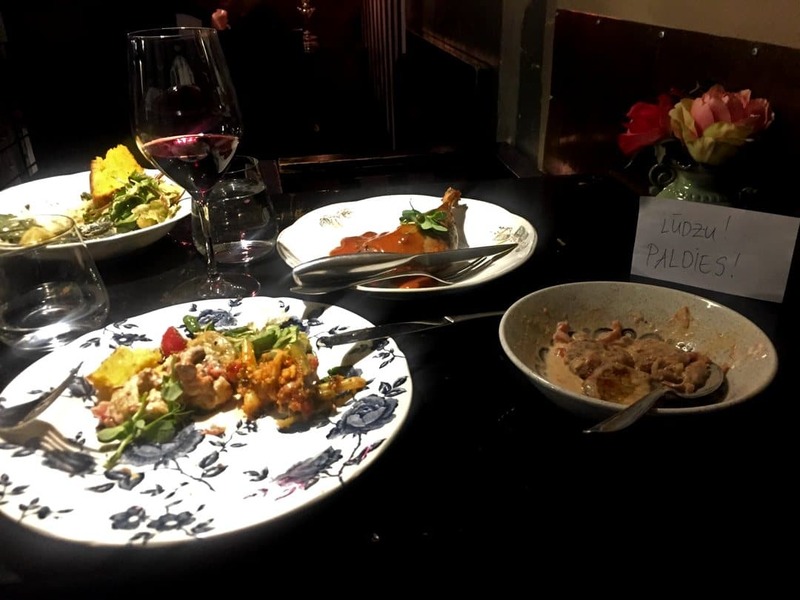 Wonderful post – sounds like you had a great time! You mentioned that early on in the trip you decided you wouldn’t be able to stick to an itinerary…I find that those are the best trips/city visits I take – the ones where I just go where my gut leads me! 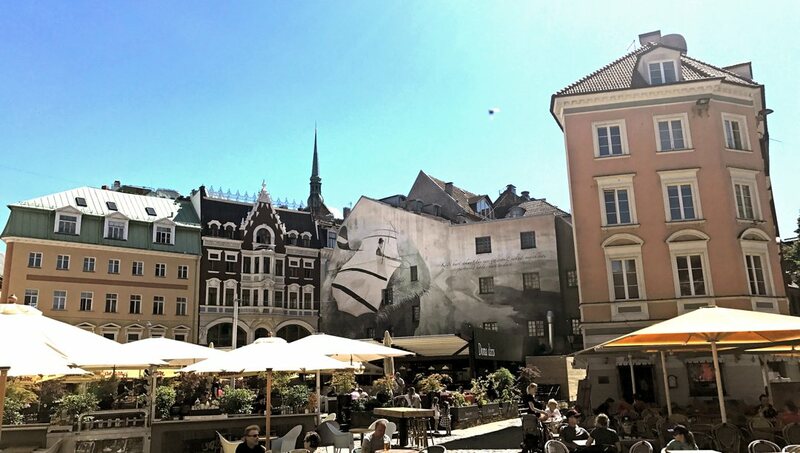 I had no idea there was so much to do and see in Riga…your article really highlights all of it very well. Love detailed posts like this. 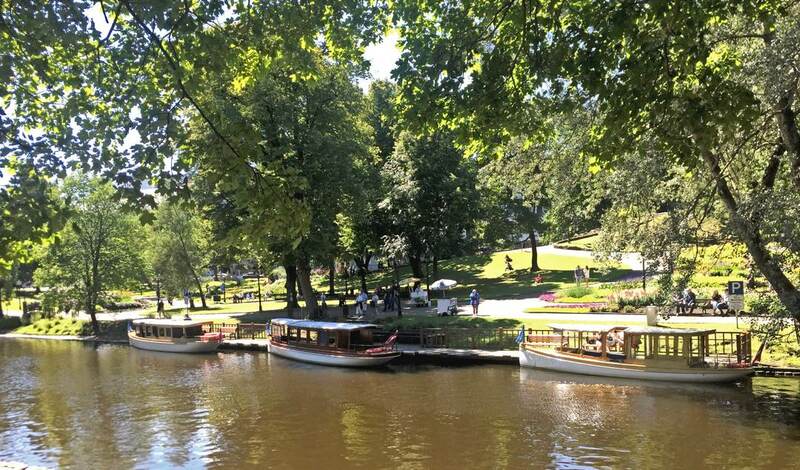 I had not heard of Riga before but now I feel i know so much about it and want to even visit! My favorite would be to hit the beach leaving the husband to all the historic places. I love Riga, especially in winter! Sure it’s very cold but I think there’s nothing better for Christmas and the festivities! I’ve been wanting to visit Riga for a long time. We went to Tallinn nearly two decades ago and I imagined we’d get to Riga a year or two later, and somehow we still haven’t yet! Love the views from your 6th floor apartment window, a lot of stairs but looks lovely, especially with all the books and everything. Like you, I’d be drawn to the Art Nouveau architecture in particular as well as the historic town centre, so beautifully preserved. Of course, I am psychologically unable to resist a market when I’m travelling sp the Central Markets would be a must for me too. One of the attractions for me of a visit to Eastern Europe is the continued impact of their Communist era experiences, that being one of the key periods I studied at college, so both the KGB House and the Museum of Occupation would be a must. 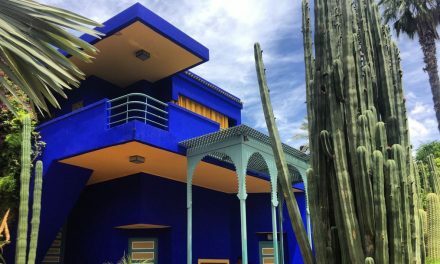 I love reading your travel stories! It’s like chatting with a friend about their adventures… ending ip wanting to go to the same places cause you just make it all sound too good! 😉 You’re making my travel list grow with every blog lol! Riga seems to be a nice place. Nice travelogue, reading your posts gives a virtual visit to the place. Hope to visit sometime. What a great trip! Architecture, history, a beach trip and very little plans- sounds like how I travel, too 🙂 And coffee on a bus- how wonderful! I can’t wait to visit in a few weeks. Unfortunately we only have a weekend, so will see how much we can squeeze in. Wow, so much information provided here. 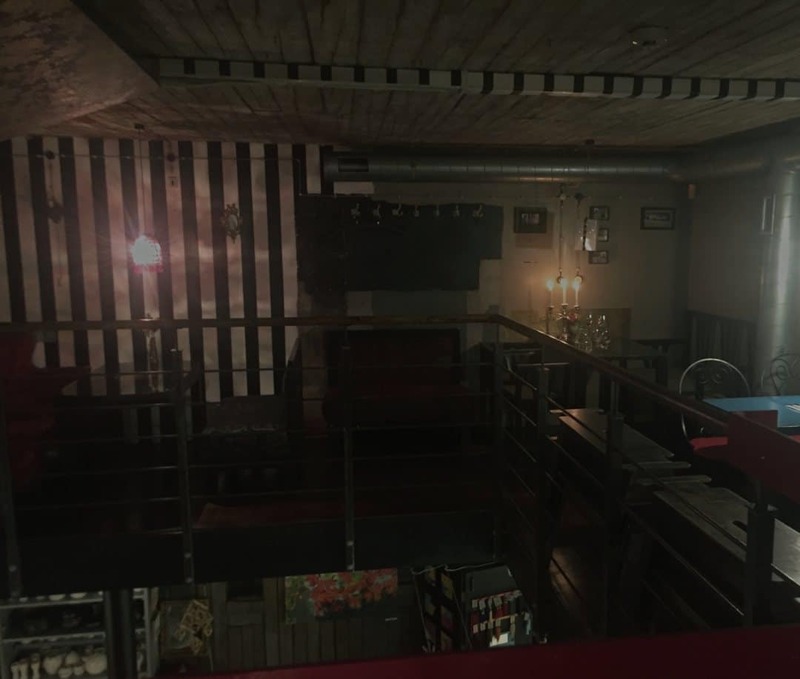 It seems you guys had a fun time roaming around Riga despite the 6 story climb up and down to your AirBnB rental unit. I love visiting city market places, but okay 3,000 trade stalls is daunting! Would probably have to go there for a few hours and be satisfied before getting overwhelmed. A lot of the parks and cafes sound just charming. I would love to visit the Baltic countries one day. Fantastic post. Thanks for all the fun and honest adventure (and mis-adventure). The best trips are those where the map and plan are tossed aside and you get to explore. Some of our best vacation memories have occurred this way.